Our Wellspring Village® is a specially designed neighborhood in our Brightview communities for people who are living with Alzheimer's disease or other forms of dementia. 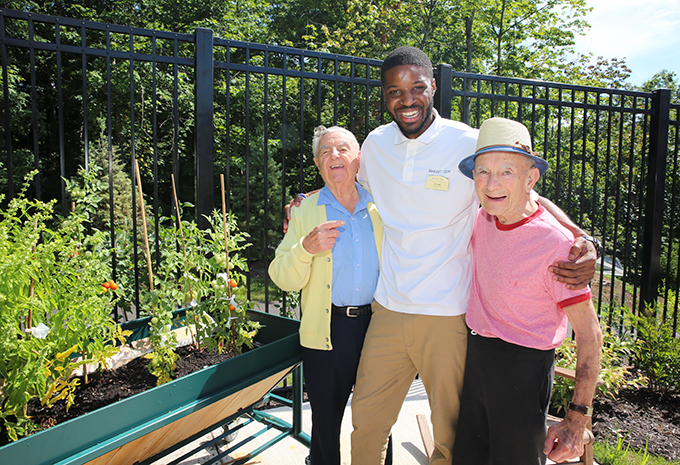 Through our innovative approach to senior memory care living, residents live safely in apartments specifically designed to encourage independence, participate in social programs that are tailored to their abilities, interests and gifts, and are cared for by our exceptional associates. We believe everyone’s life is a special story. So is our approach to caring for those with Alzheimer’s disease or other forms of memory limitations. In our secure Wellspring Village® neighborhood, every resident lives in an empowering atmosphere that promotes their full potential. 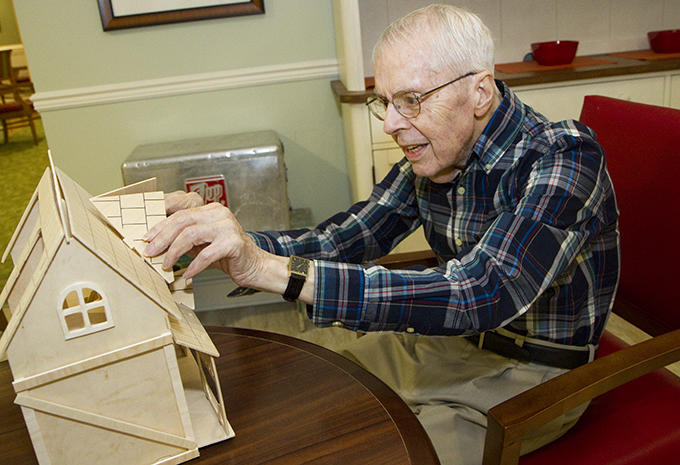 In addition to our full complement of Assisted Living services, Wellspring Village® residents benefit from an innovative senior memory care program and care techniques. Activities are tailored to each person’s unique abilities, interests and gifts — to encourage self-reliance and foster a sense of belonging. Our residents also benefit from our Mind & Music™ program. 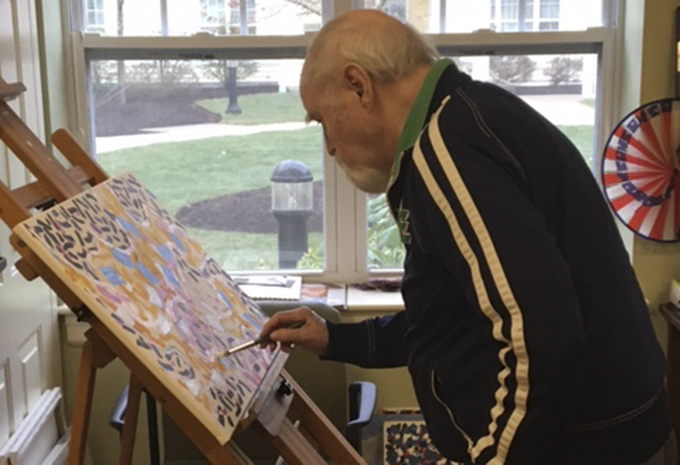 With Mind & Music™, we make each Wellspring Village® dementia care neighborhood a brighter, more joyful, and harmonious place for people with dementia to live! The Wellspring Village® neighborhood also features carefully designed apartments and common areas to offer helpful cues for everyday tasks and living skills. 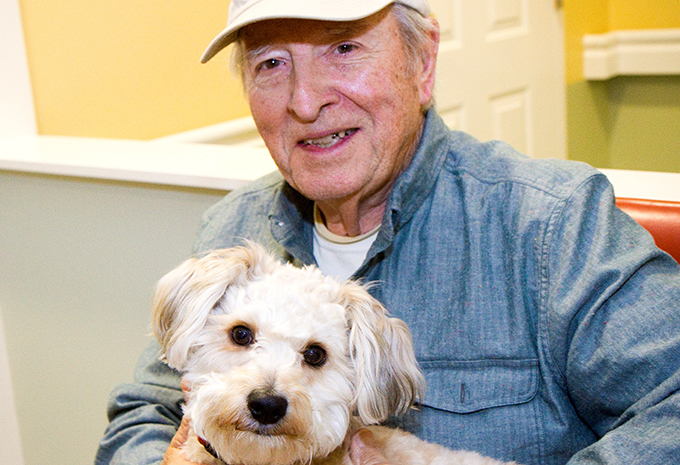 With the care of our highly trained team of associates, Wellspring Village® brings unsurpassed quality of life to residents in need of memory care and peace of mind to families. 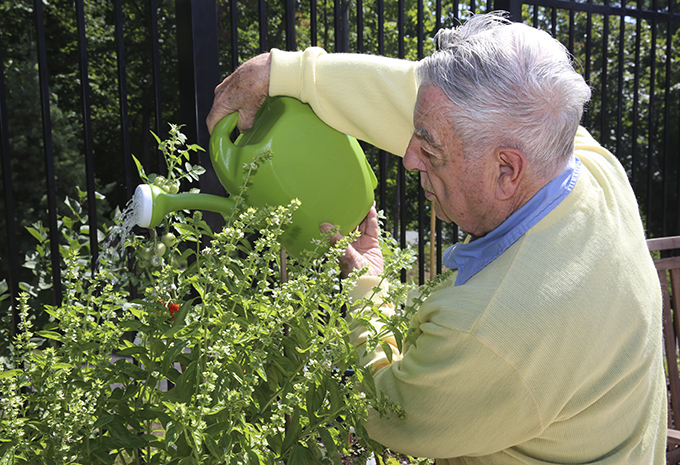 Wellspring Village® provides a secured, supportive “village” environment specifically designed for the special needs of those with Alzheimer’s disease or other forms of memory limitation or dementia. Cozy apartment homes, comfortable gathering spaces, and indoor and outdoor activity areas create a stimulating yet manageable living space. This maximizes residents’ ability to be independent and increases opportunities for social interaction. 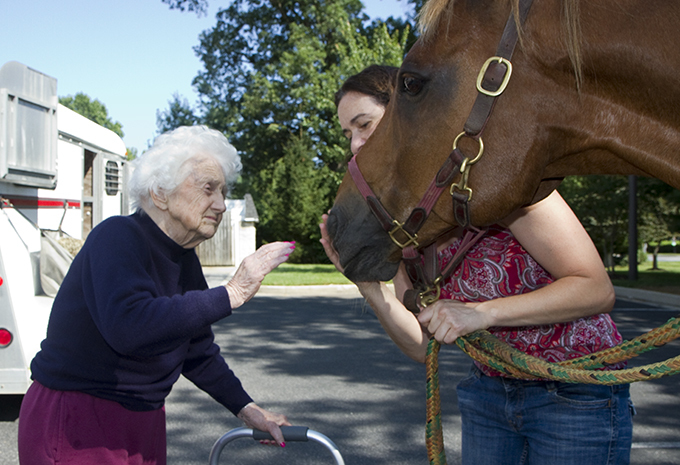 Brightview Senior Living Wellspring Village® memory care neighborhoods span across eight states including Virginia, Maryland, Pennsylvania, New Jersey, New York, Rhode Island, Connecticut, and Massachusetts. We believe that memory loss does not mean the end of joy, laughter, love, or purpose. Our goal is for residents to retain their dignity, feel happy and safe, all while fostering growth and meaning in their lives. Assisted Living is designed for the senior who wants to live in a private apartment but may need a helping hand with certain daily living activities, such as taking medications, dressing, or bathing. 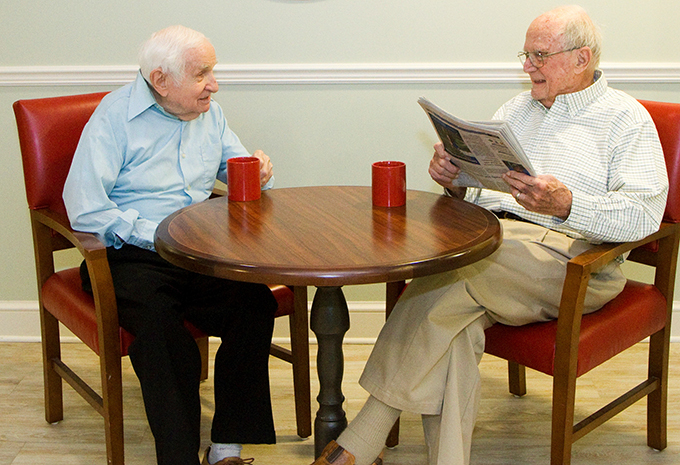 Since each resident’s needs are unique, tailored assistance is offered to encourage and empower the resident to live as independently as possible. Additional services include maintenance, housekeeping, scheduled transportation, and three meals a day. Memory Care Living provides services to those seniors with forms of dementia, such as Alzheimer’s disease, or other memory impairments. These communities offer apartments specifically designed to make a resident feel like they never left home. 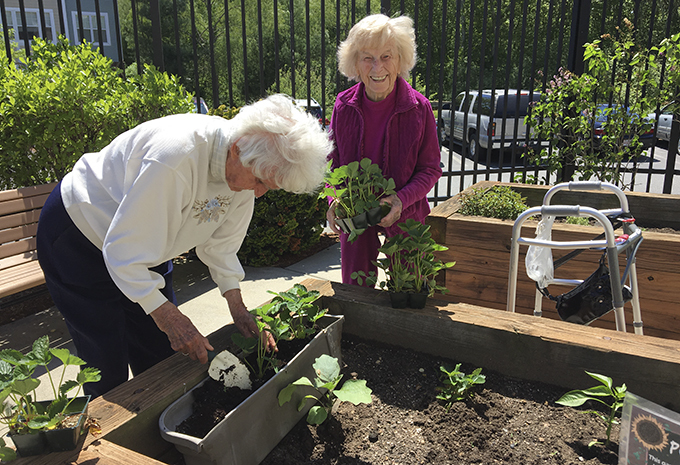 Around-the-clock supportive services reinforce dignified living by providing a secure and safe “village” environment, and common areas encourage social interaction that fosters a sense of belonging for the resident. 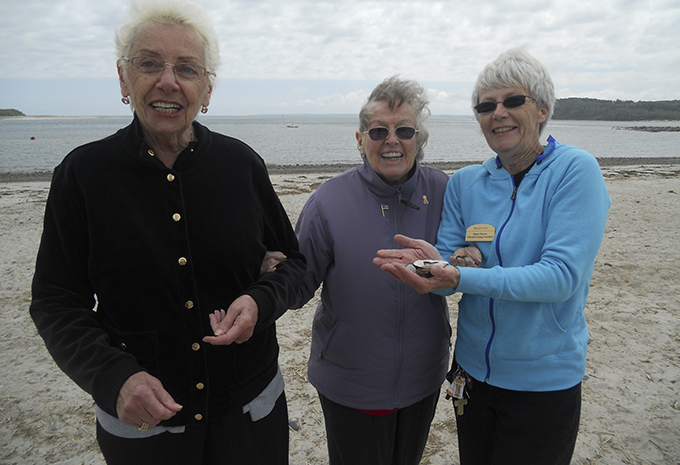 Fun, intellectually stimulating on-site activities include music, art, cooking, gardening, exercise, and more. Many communities also extend support and hold educational programs aimed to help family members understand the impact of memory loss.